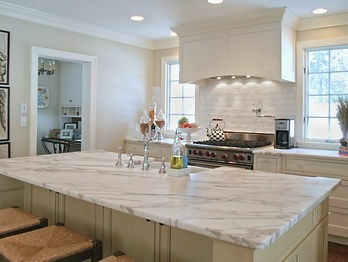 Countertops are an important element of any kitchen, bathroom, or office. 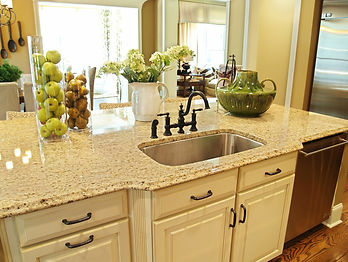 Premiere Pros offers a variety of countertops to choose from including granite, marble, quartz, and quartzite. Whatever your investment level or preferences, Premiere has the countertop to fit your remodeling project. 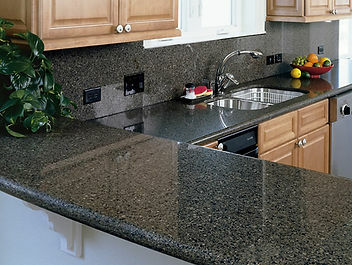 We offer competitive pricing and reliable services for all your countertop needs. We pride ourselves on our superior customer service and strive for customer satisfaction. if you don’t have a clear vision of what you want, we are always happy to help you choose a great color scheme to match your cabinets and kitchen color. The best part is that granite, quartz or marble countertops don’t necessitate much attention and are unproblematic to maintain. Marble is innately a softer and more porous stone than granite, which makes it susceptible to scratches from sharp objects, such as kitchen knives, and stains from watery or oily liquids. Applying a sealer to a marble countertop provides a barrier to liquids, making them less likely to stain after spills are wiped clean. Quartzite is a natural rock. It is created when sandstone is subjected to extreme heat and pressure caused by tectonic plate compression in the crust of the earth. The stone is mined and sawn into slabs which are later precisely cut to become countertops. The tops are polished and sealed for beauty and durability. Quartz countertops are often called engineered countertops because they are fabricated from natural silicon dioxide and synthetic materials. Loose quartz makes up about 93 percent of the material. It is blended with a binder and pigment and formed into countertops. Quartz tends to be the more popular choice due to the availability of color options.